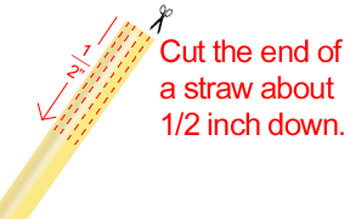 Cut the end of the straw about 1/2 inch down. 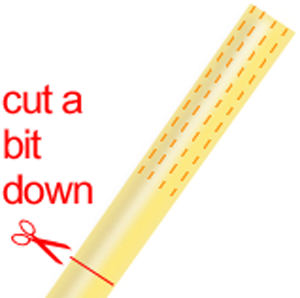 Do many of these cuts. Cut a bit down from the slits you made. Spread out petals. 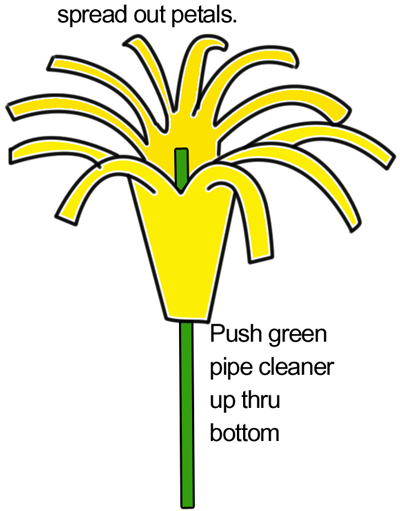 Push green pipe cleaner up thru bottom. 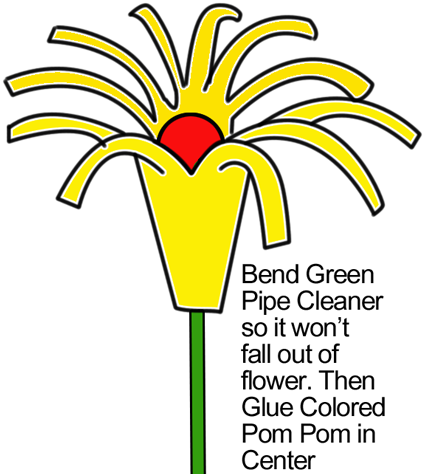 Bend green pipe cleaner so it won’t fall out of flower. Then glue colored pom pom in center. And, there you have it…. 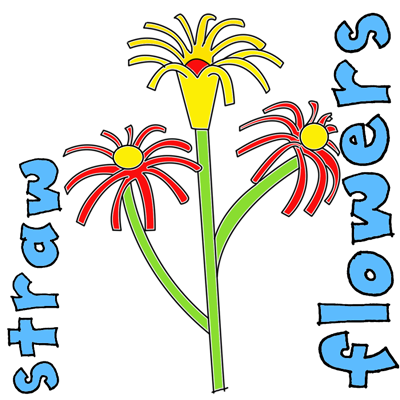 you just finished your Drinking Straw Flower. How did it turn out for you. Now, make a few and put together a beautiful bouquet of Drinking Straw Flowers. 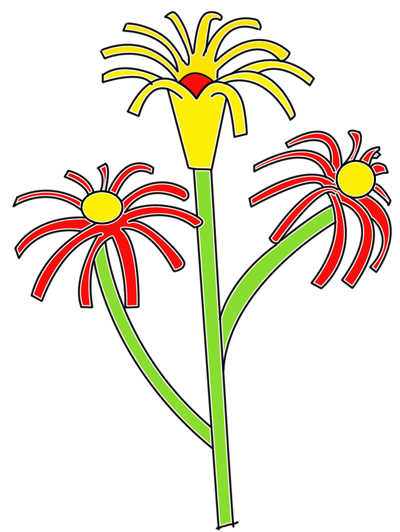 Here is our video on how to Make Drinking Straw Flowers.